High humidity is a common problem during the wet season. Then it is a must to use a dehumidifier. A dehumidifier removes moisture and helps keep the desired humidity level in your home. Keeping a balanced humidity limits mold growth reduces uncomfortable muggy conditions, and protects your home from damage. 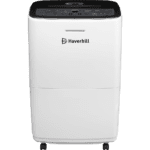 As there are many dehumidifiers available in the market in a variety of sizes and moisture removal capacities I thought that writing an article about some basic mistakes to bypass when buying a dehumidifier would be great. 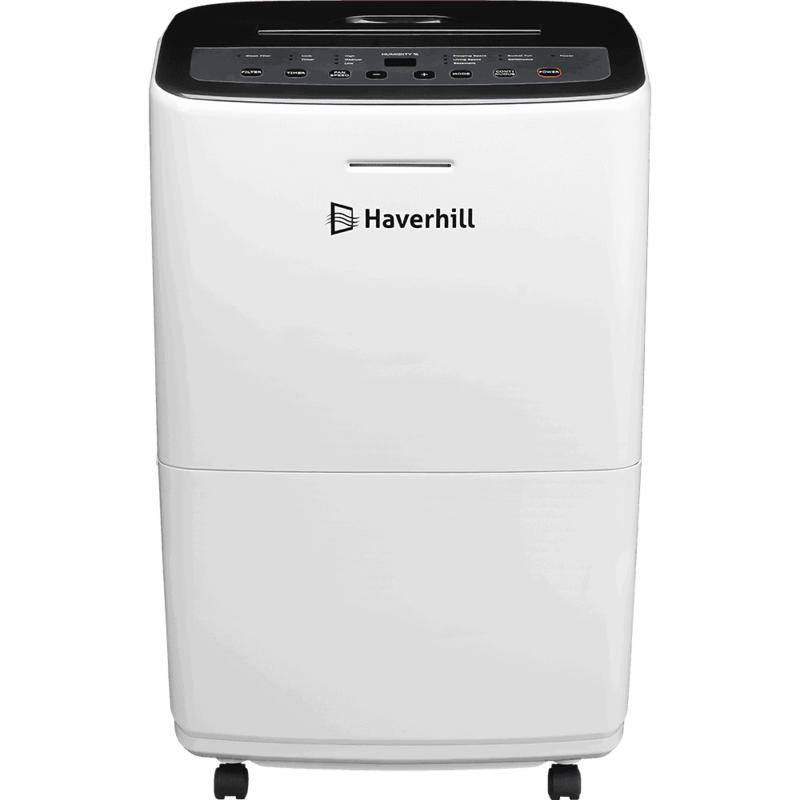 A dehumidifier’s size is defined by its total ability to remove moisture. Capacity is rated in pints of moisture removed per day, or 24-hour period. All dehumidifiers have stated how many pints of moisture they can remove. For example, the unit that accumulates 30 pints per day is suitable for a 1000-square-foot moderately damp room. And here comes the tricky part. 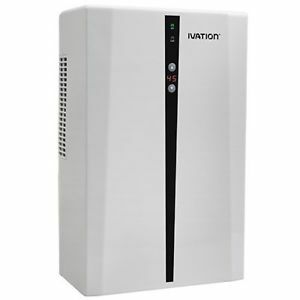 Many manufacturers have stated how many pints their dehumidifiers can accumulate in a little damp place (50-60% humidity) and they don’t state damp, wet or a little damp place. So there is a chance that a dehumidifier which can remove 30 pints of moisture in moderately damp place can only remove 20 pints in very damp space. So you have to know or at least guess approximately how damp is the space where you are going to use your dehumidifier. My advice is to choose the model with a higher capacity than necessary. 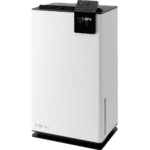 Firstly, even if the dehumidifier is more expensive it will pay off later because the higher capacity dehumidifier will work fewer hours to collect all moisture and without using the maximum capacity. That will reduce your electricity bills and increase a dehumidifier lifespan. Secondly, higher capacity dehumidifiers usually have bigger water containers. 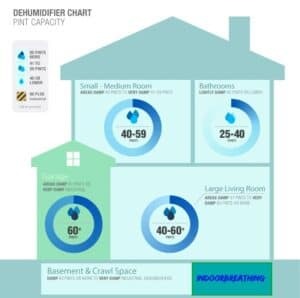 To make your choice easier I have made a dehumidifier comparison charts including capacity and practical room sizes. Check comparisons here. That could be a nightmare to lift the heavy dehumidifier from one floor to another or from room to room. Also, heavy and big dehumidifiers occupy a lot of space in your home. When choosing a dehumidifier that is heavy and the big great solution is to pick the unit with casters and carrying handles. That will ease your life a lot. Casters will also help you save effort when cleaning the floor below the unit. Most of the dehumidifiers make noises and vibrations when working because of the compressors and fans. That is normal because that means your dehumidifier is working. But there are of course quieter and louder models in the market. Some of them have a quiet operation (at least they presents them as quiet). With these models, manufacturers have taken several steps to reduce noise by isolating the fan or using a smoother-running fan, for example. Choosing the higher capacity model helps because you will run it on a middle fan speed, not a max and the middle fan speed will be noticeably quieter. The good news is that most of you are going to use a dehumidifier in a basement and then you are less likely to hear your unit working while you are upstairs, for example. Many features are pompous and are not necessary. But there are some features I think is a must for every dehumidifier. One of them is automatically shut-off function. With this function, the unit turns off when the water bucket is full. Without this function, water leaks may occur and that’s dangerous and could even cause an electric fault. So please don’t buy a dehumidifier without this feature. Casters and handles are a must for heavy dehumidifiers. We already discussed this thread previously in this article. You will make a huge mistake if you will buy a dehumidifier with for example 70 pints capacity and only 20 pints water bucket. Pay attention to this. I bet you don’t want to empty the water tank 5 times a day. A great alternative is to choose the device that uses the water drainage system. This requires no energy to clear the water tray. 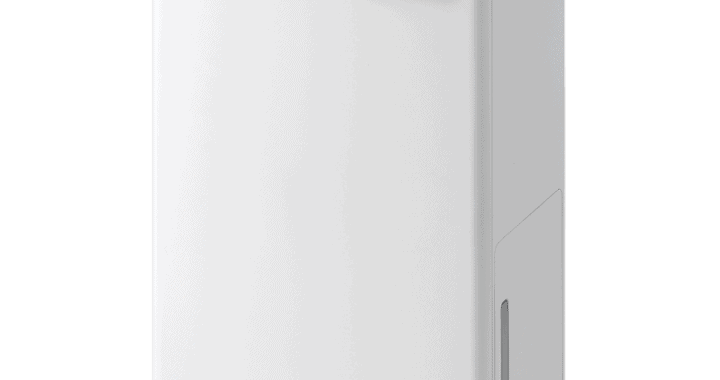 Some dehumidifier models have the unique feature that turns the devices off automatically when the air is dry enough, helping to save more energy. This feature is called automatic humidistat. A humidistat automatically maintains your desired level of humidity by triggering the dehumidifier to run only when needed. There are a lot of dehumidifiers in the market. And it is hard to pick the one that best fits for you. I hope this article helped you a lot. Feel free to use also our full in-depth dehumidifier buying guide as well as our dehumidifier comparison charts. There you will find a lot of useful information, also about prices and where to buy the units. More information about the product can assist you to save serious money down the road. Posted in Dehumidifiers and tagged Dehumidifier.